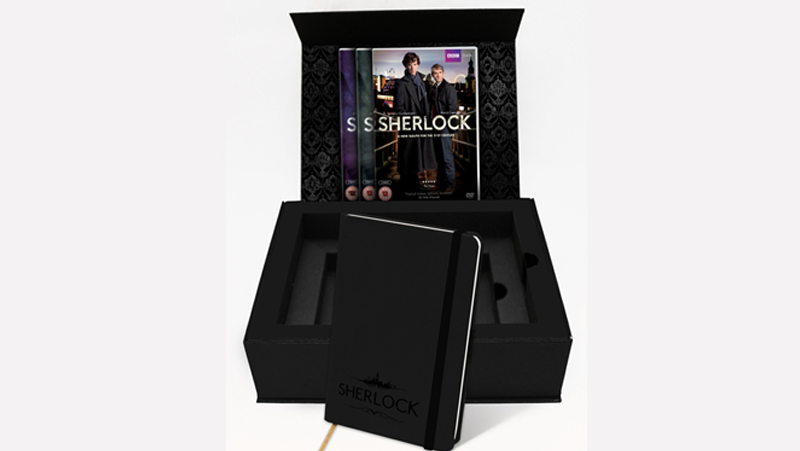 Releasing just two weeks after Series 3 concludes, this collector's edition - limited to 3000 copies - gathers all three series (on DVD or Blu-Ray) of Sherlock in a fancy box, decorated with 221B Baker Street-style wallpaper and filled with hidden compartments, containing behind the scenes material from Series 3, an A6 notepad embossed with the Sherlock logo, a thank you letter to fans from 'a popular returning character' (I'd want to say Lestrade, but I guess he wouldn't be interested), and interestingly, a copy of the script for A Study in Pink, the first episode of the show, penned by Steven Moffat. 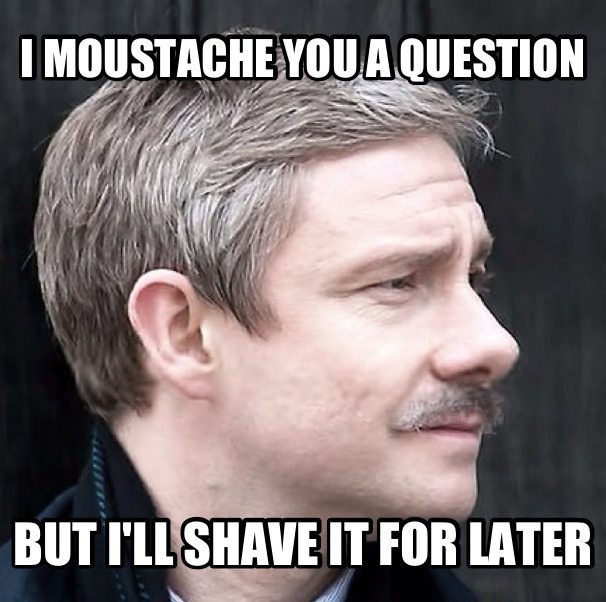 Unfortunately, not included is a fake comedy moustache to emulate the facial hair that finds itself bizarrely attached to Watson's face at the start of series 3. Here's a mahoosive picture of the set itself, and if you want to preorder yourself a copy (at the surprisingly high prices of £62.99 on DVD and £64.99 on Blu-ray), you can do so at BBCShop.com.